New Hampshire's Democratically controlled house passed two bills that are already getting pushback from Republicans. At the New Hampshire State House in Concord, they are discussing 90 different bills over 3 days. Some of them are already on their way to the Senate. 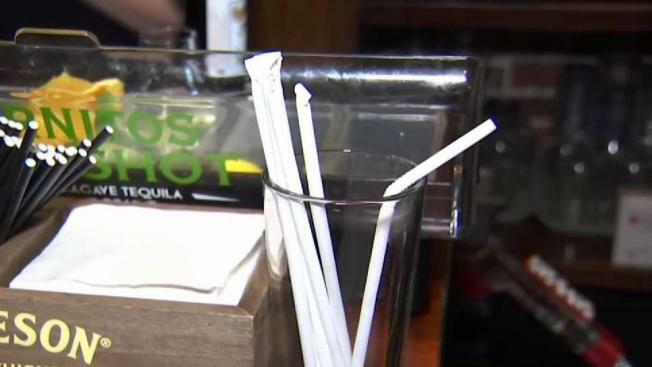 New Hampshire restaurants wouldn't be able to provide customers with single-use plastic straws, unless a customer requests it. In addition, certain public accommodations built in the future would have to include changing stations in bathrooms for both babies and adults, if legislation passed by the New Hampshire House becomes law. The Barley House, a restaurant just feet away from the State House, is already ahead of the curve. You can only get a paper straw at their facility, and you have to ask for it. They implemented this two weeks ago. Democratic Rep. Christy Barlett said the plastic in straws can't be recycled and she believes it is ruining their waterways. She said it's a simple fix to make a big change in the environment. Medical facilities would be exempt from the bill, and there is no penalty for giving out a straw if not requested. The bill is even more strict than laws in California, which has some representatives calling for more research. "Let's get all the facts — because this bill went further than California. This is New Hampshire. We are the life free or die state, you know. We care about our environment, but we also do responsible legislation,” said Republican Rep. Kim Rice. There's another big change for all the dads out there. Legislation is on deck to have diaper changing stations in all men’s’ restrooms so that changing their children on the floor or in the sink, or passing them off to moms, will be a thing of the past. "I think it's a great idea. Back when my kids were in diapers, there were times when my wife and I were in a restaurant or store and if one of the kids needed to be changed, she would always have to be the one to take them in, because there wasn't a changing table in the men's room and I wasn't about to change them on the floor," said Chris Murphy, a father of four. Even though Rice thinks this is a great idea, she's not sold on it. "I am a huge supporter of dads in this state. I encourage every small business and every large business to put changing tables in the men's bathrooms," she said. "Notice I said 'encourage,' because I don't believe in mandating it." Barley House is, once again, one step ahead of this bill, with changing stations in both their bathrooms. They say it was an easy fix and low cost, and best of all, dad-approved. "I think force them to do it. I have no problem in forcing them. If you want to do business, be an inclusive business," said Murphy. There's also separate legislation for a changing area for adults with disabilities that have caretakers. The bill also passed and is headed to the senate.